Polish developer Lightstream has released Solar, its new GPU-accelerated high-end compositor for VFX work. 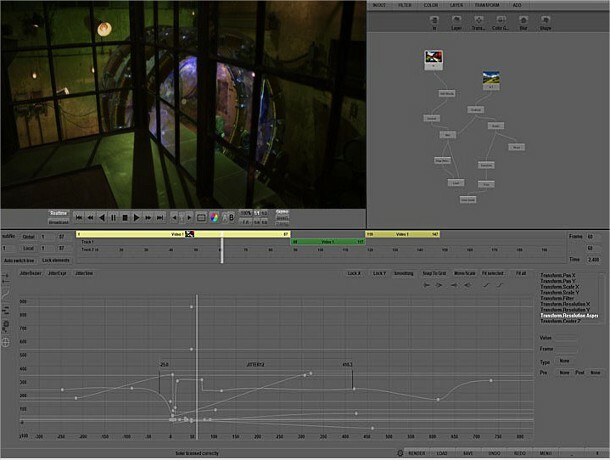 The software provides a node and tree-based workflow, and offers the range of tools one would expect in an app of this type, including layer management tools, colour correction and grading, and additional tools like particle systems and caustics. The system is compatible with standard editing hardware, including Bluefish, AJA and Blackmagic Design boards. At €2,990 (around $4,430) for the full version of the software, and €1,490 ($2,210) for the base SE edition, Solar occupies a similar price point to Nuke. So what does the product have to offer over its established competitor? According to Daniel Markowicz, founder and VFX supervisor at Polish studio Lightcraft, which helped develop the technology, one crucial thing: speed. The company also has a range of other finishing and grading tools due for release this year. No demo videos have yet been posted, but a PDF manual is available, as is a trial version of the software.